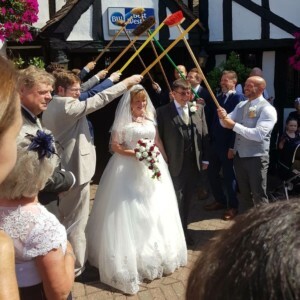 We were honoured to host Steve and Suzanna Stones’ wedding day at The Rose & Crown Colchester on August 3rd this year. And after a honeymoon in Cyprus, the couple are now back on home soil, reflecting and reminiscing about their big day. In fact Suzanna was even kind enough to share some images of their celebration with our team. To the delight of our wedding planner Lisa who helped the couple plan their special wedding celebration with us. Steve and Suzanna first met in 1983 when they were still in their teens, but after a brief encounter didn’t see one another again until 2009. By this time both were married and in the process of divorce. They met online initially, then by chance at a mutual friend’s party. After that, the pair were inseparable. Talking almost solidly for three days (with barely any sleep Suzanna recalls) before embarking on their first official date on February 26th 2009. After a year of dating, and with their divorces now finalised, Steve and Suzanna decided to start a new life together, away from their East Sussex home, so they made the move together to Colchester. Putting down roots near to Suzanna’s parents, and starting over with nothing but the clothes on their back. It was during a visit to Toronto Canada where Steve got down on one knee and asked Suzanna to be his wife. The romantic proposal took place at the top of the CN tower. Topping off their fairy-tale love story and marking the start of yet another magical new chapter for the couple. The date was set for August 3rd, with their flight to Cyprus booked for the following day. After visiting the Rose & Crown for lunch Steve & Suzanna knew they had found their wedding venue. With a holiday to Cyprus already booked for August 4th they set the wedding date for August 3rd to tie in. By her own admission Suzanna couldn’t believe how affordable the entire wedding package worked out to be. In fact, the couple had thought they wouldn’t be able to afford their dream day, which made the whole celebration all the more special. They celebrated with 68 guests, with Suzanna’s sister taking the role of Best Woman, and her daughter chief bridesmaid. Alongside two further bridesmaids from Suzanna’s work as a special needs teacher. The couple’s first dance was Aerosmith’s ‘I don’t wanna miss a thing’ and they chose to serve lamb as the main course of their wedding breakfast. Suzanna describes the wedding as the perfect day, admitting there is not one thing she would improve on. A sentiment shared by their guests, who remarked that the wedding was one of the most emotional and genuine they had attended. 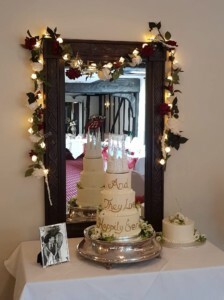 If like Steve and Suzanna, you’re looking for the perfect wedding venue in Colchester. One that takes care of your food and drink needs, as well as room hire, all for one set price. 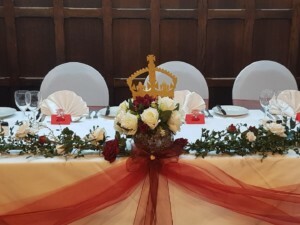 Then take a look at the packages we can offer at The Rose & Crown Hotel.